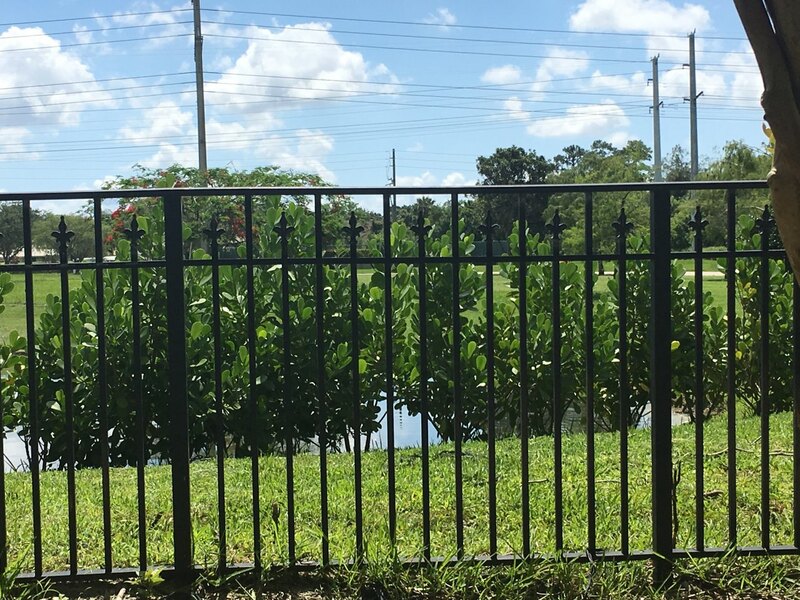 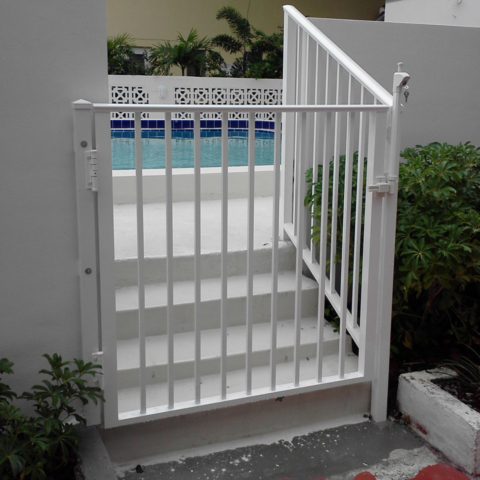 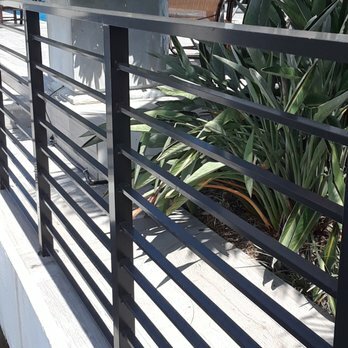 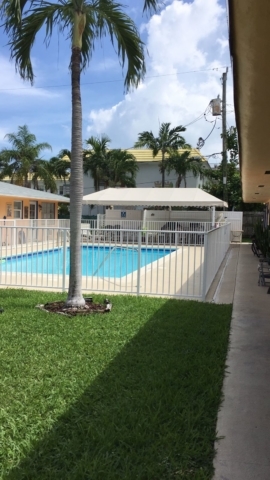 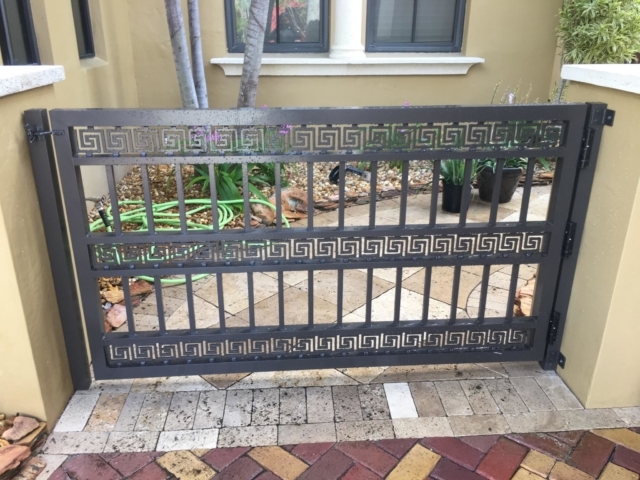 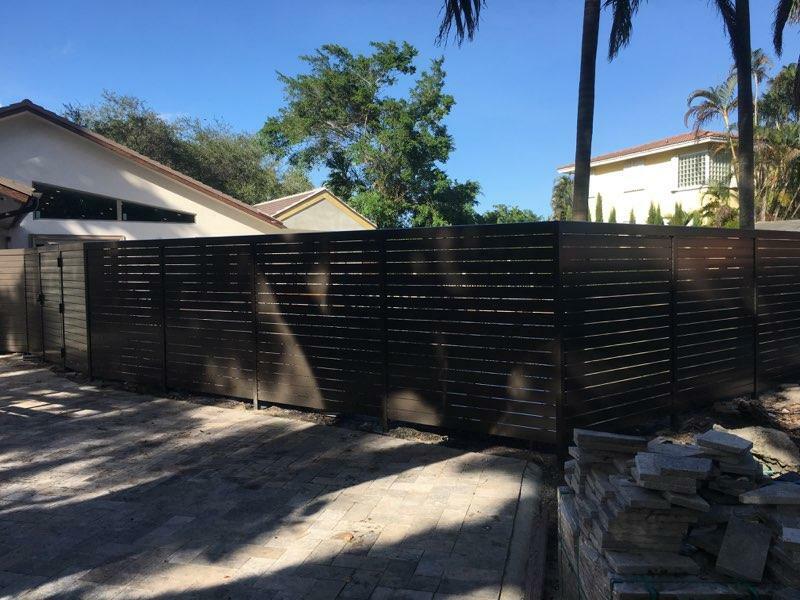 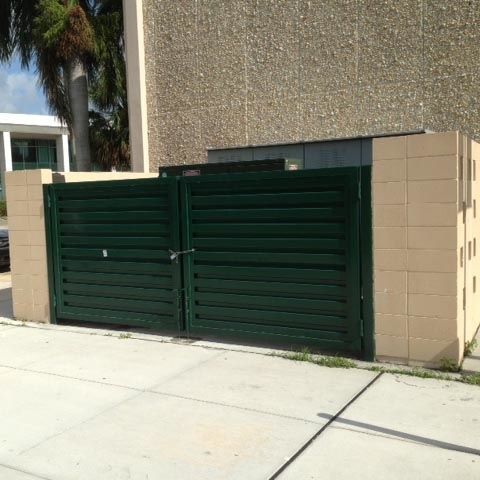 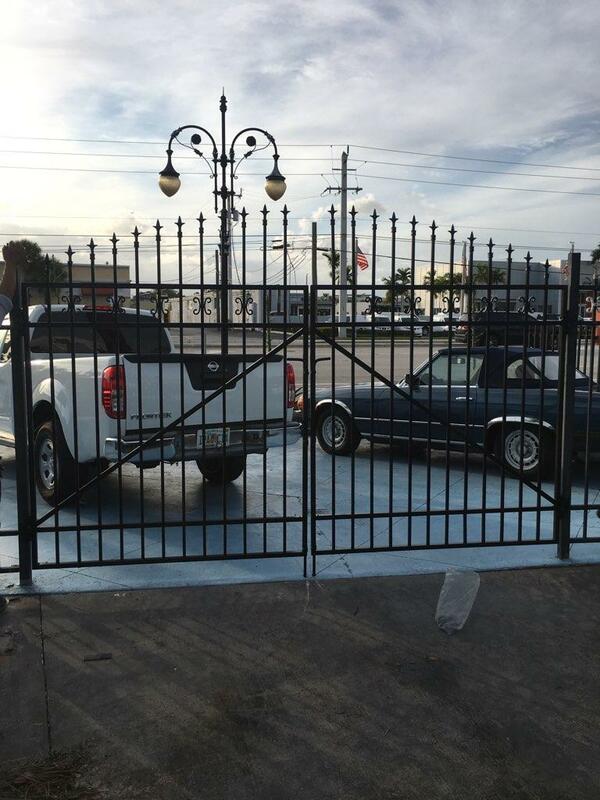 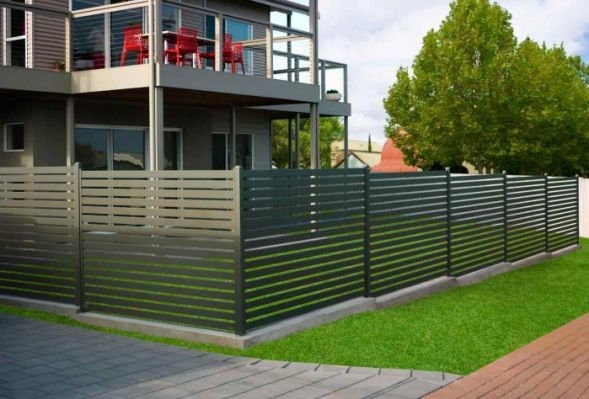 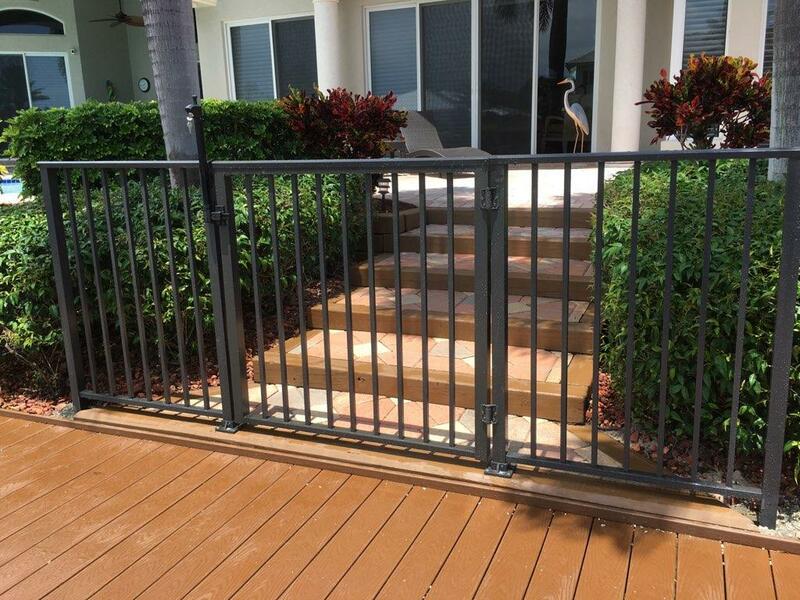 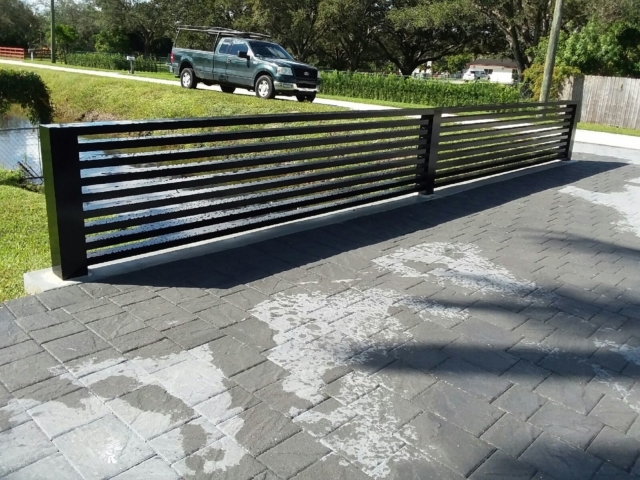 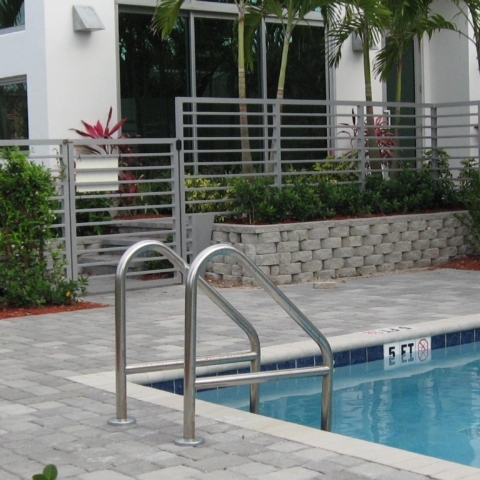 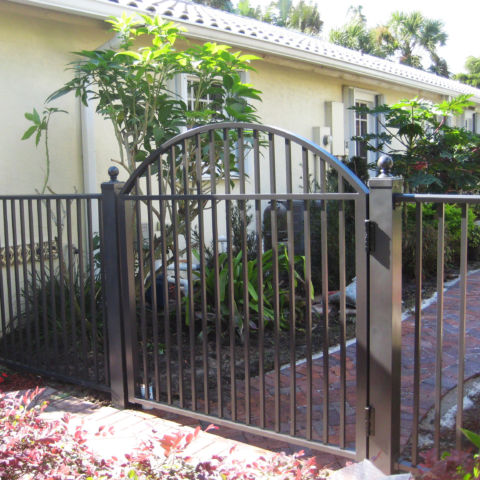 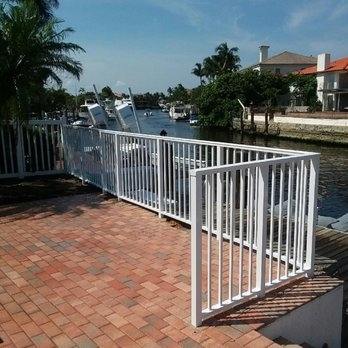 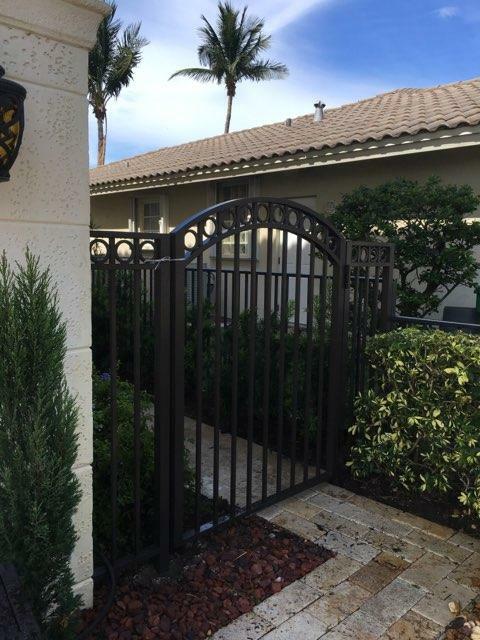 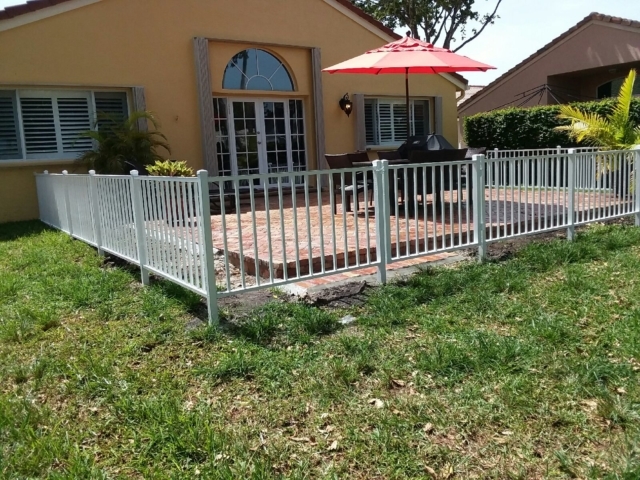 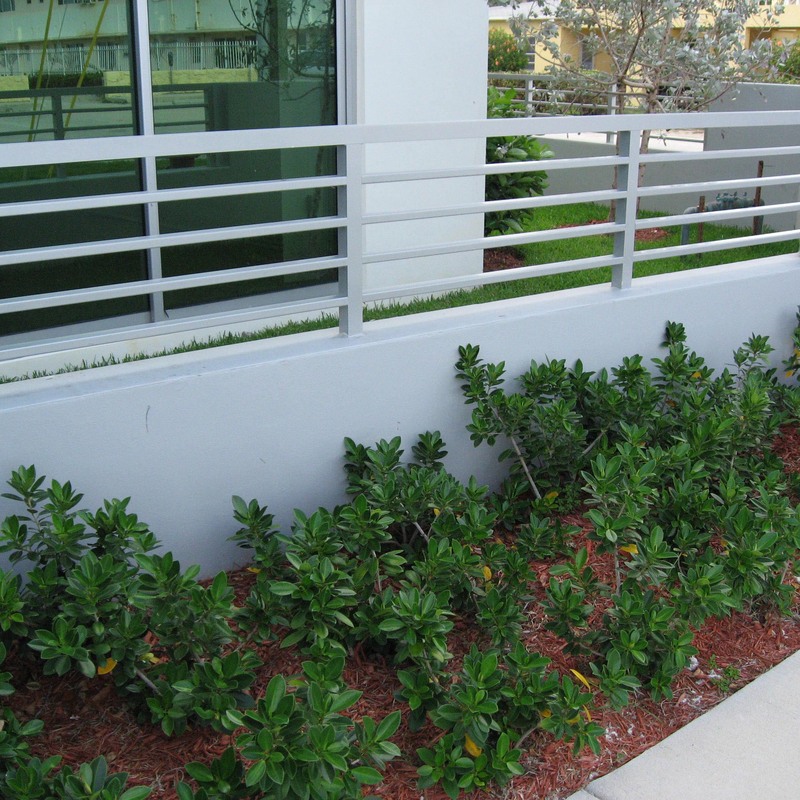 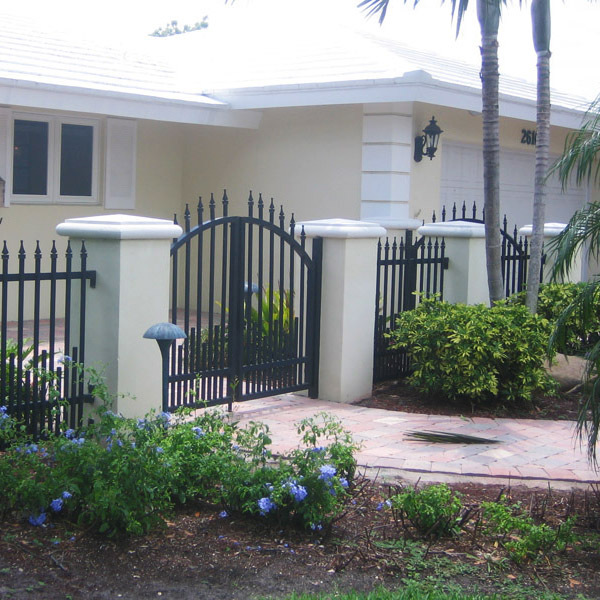 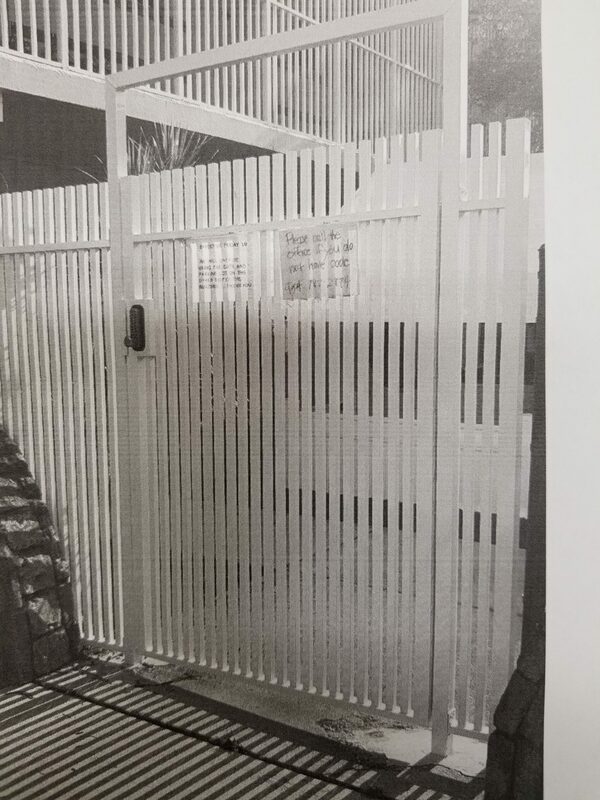 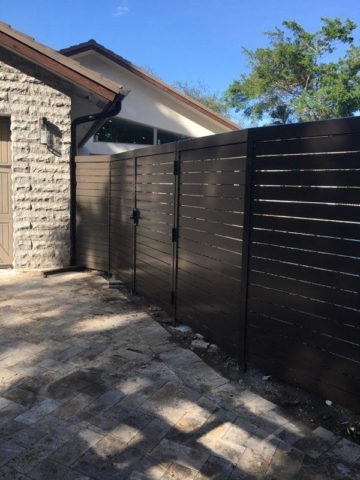 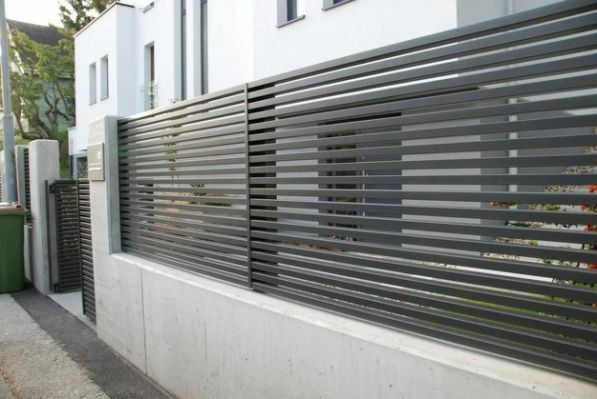 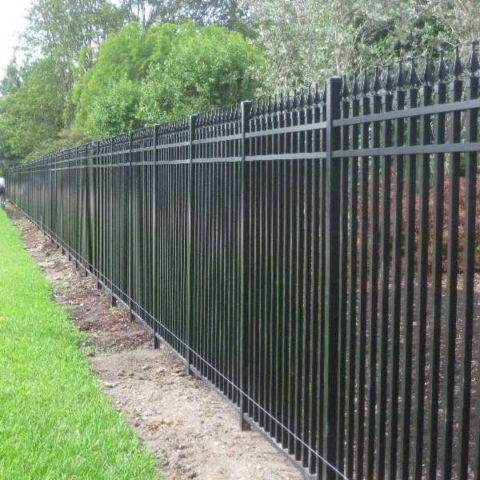 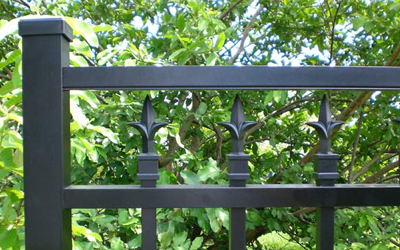 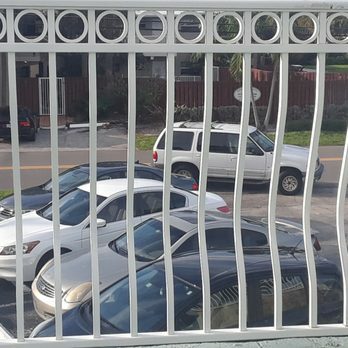 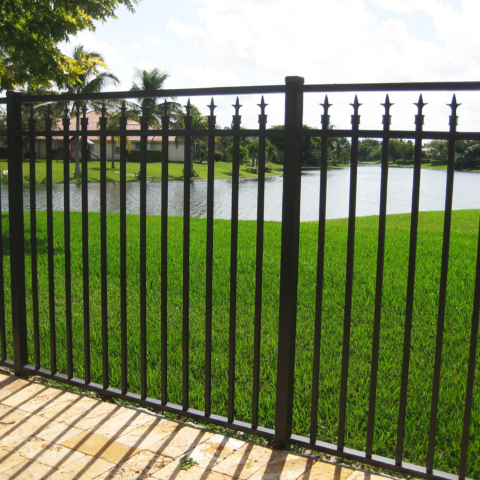 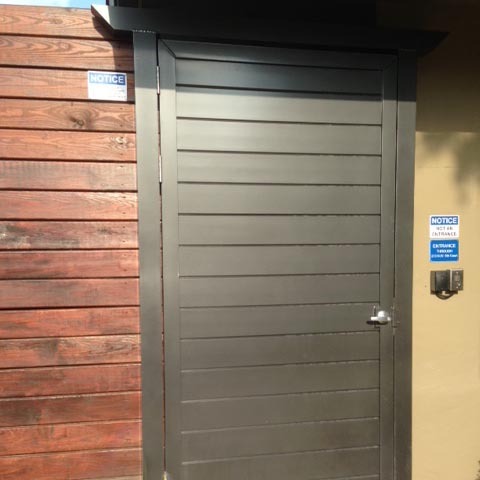 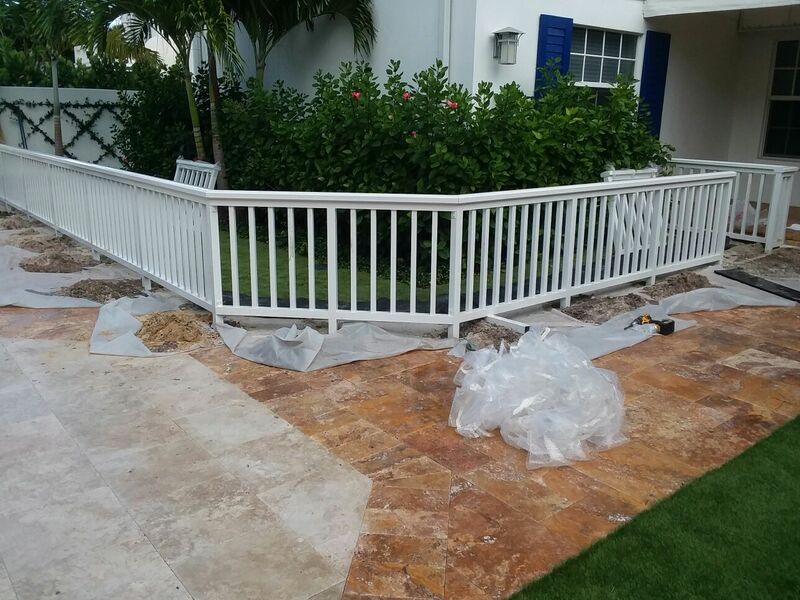 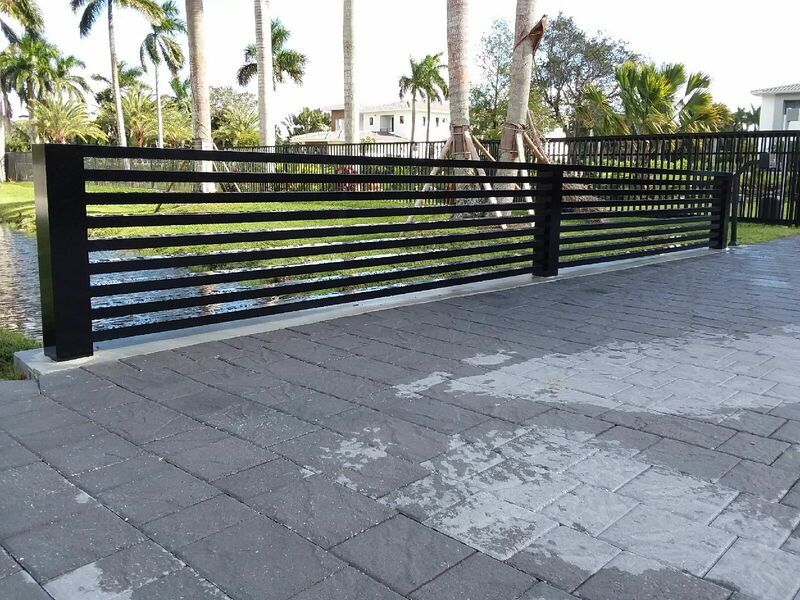 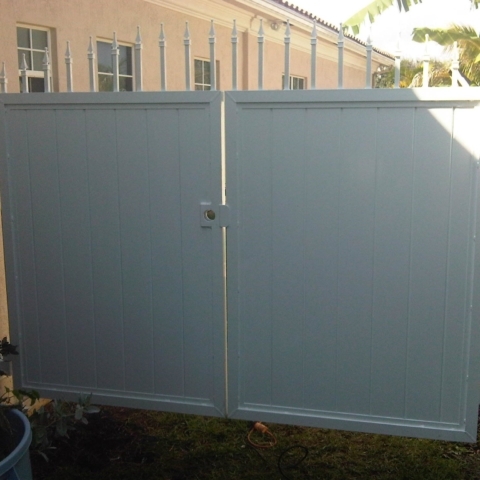 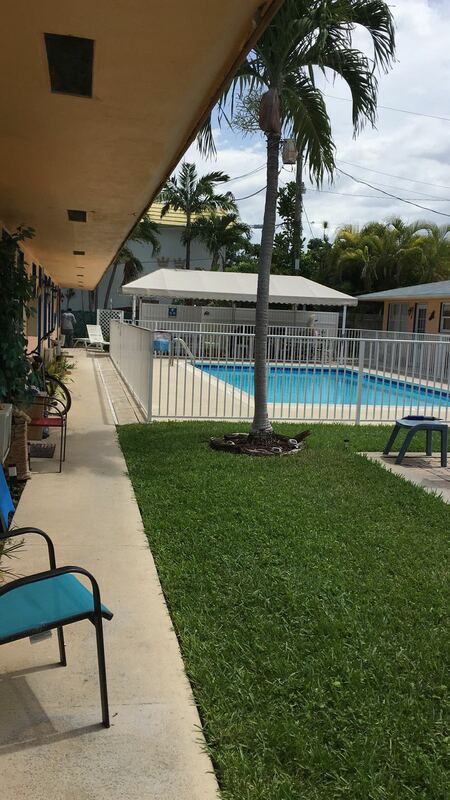 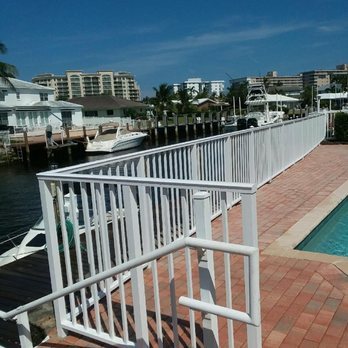 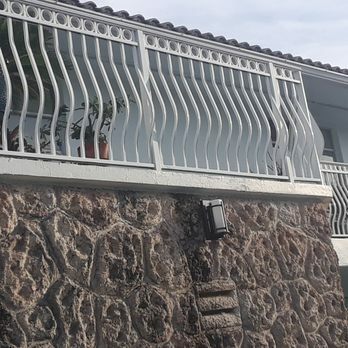 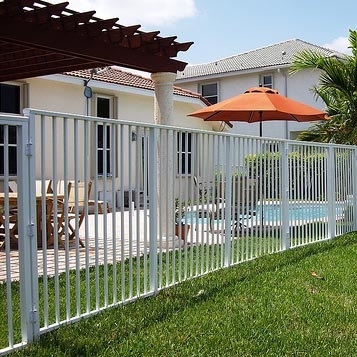 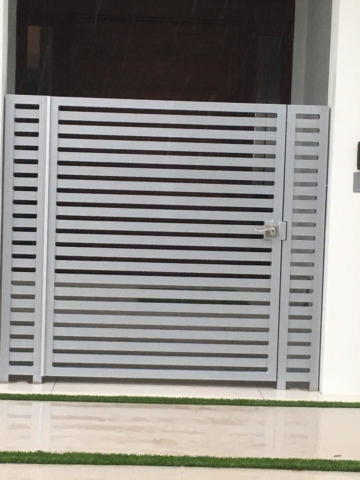 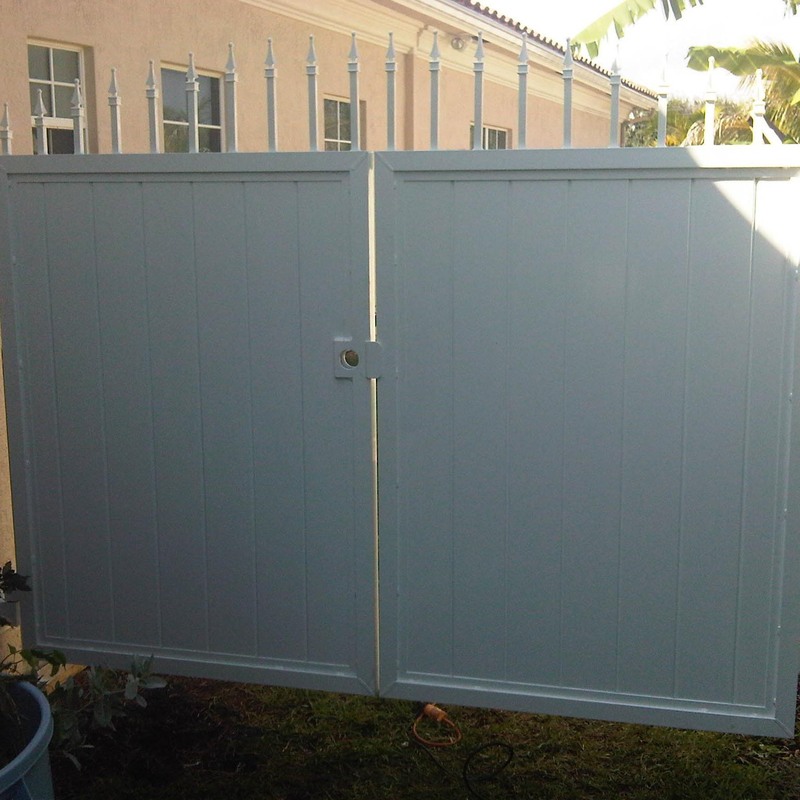 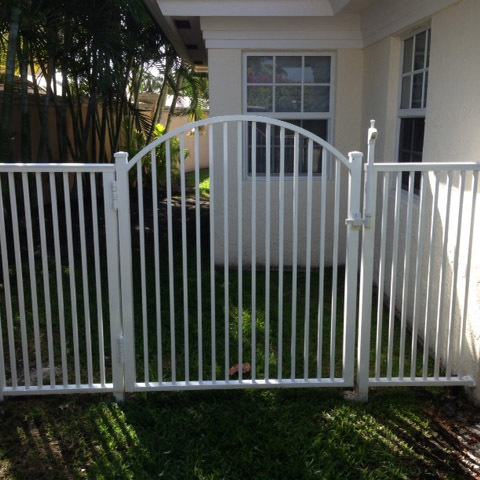 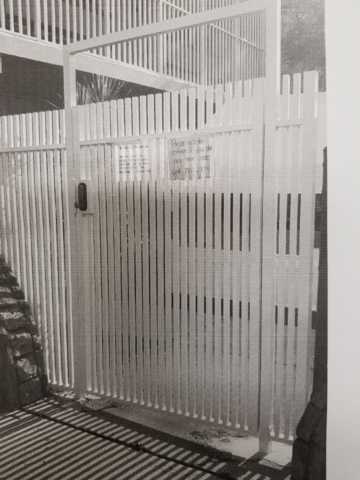 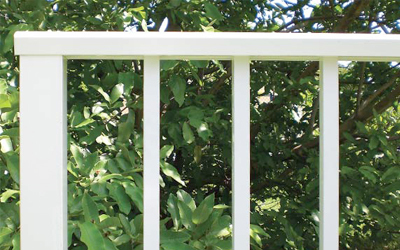 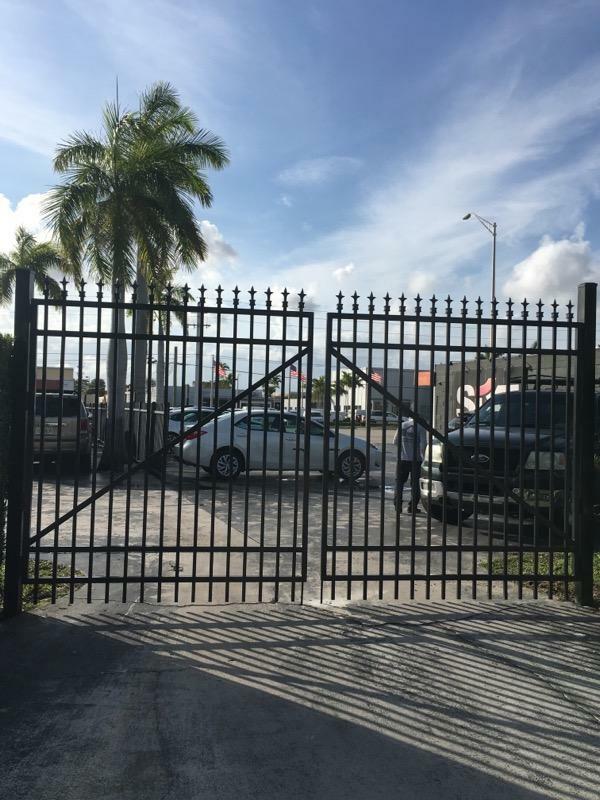 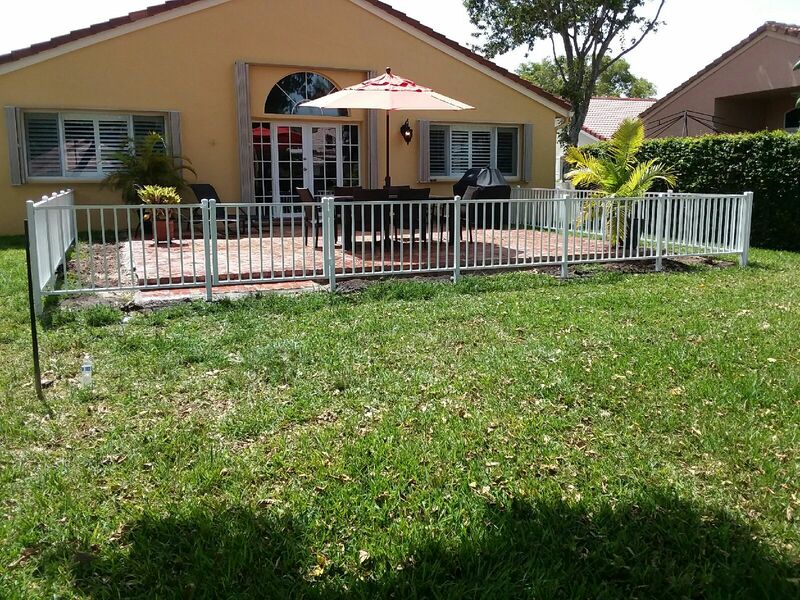 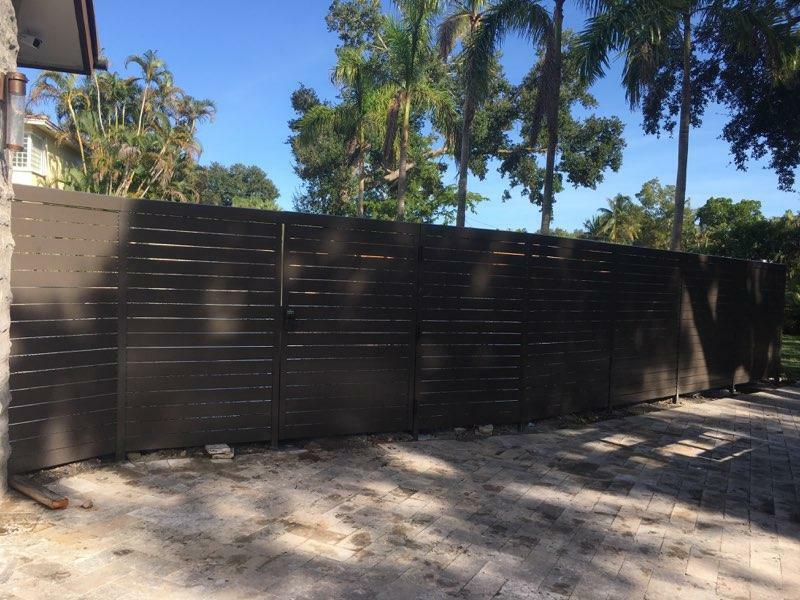 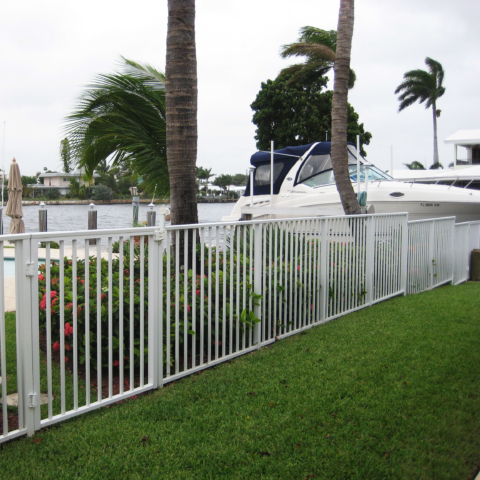 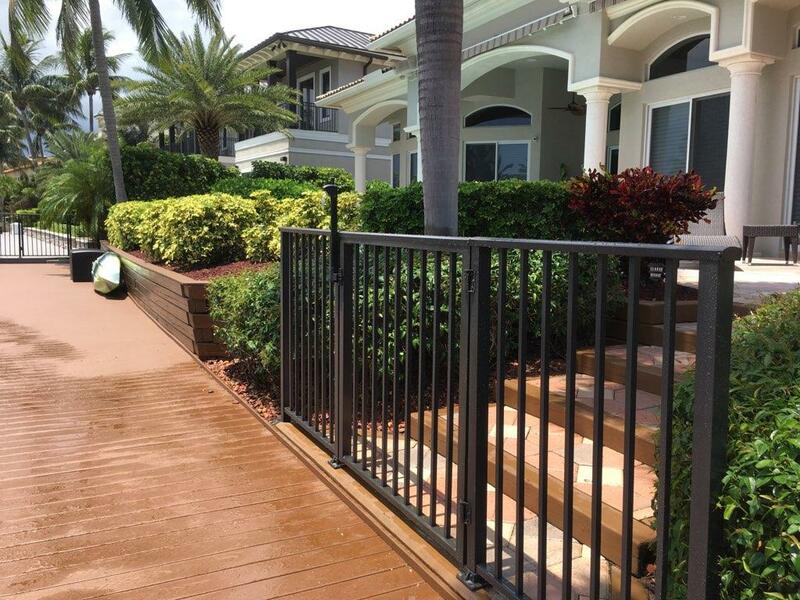 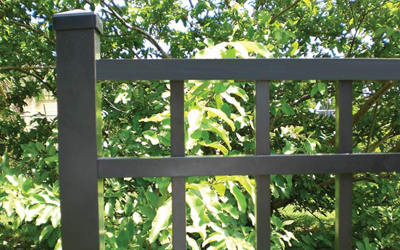 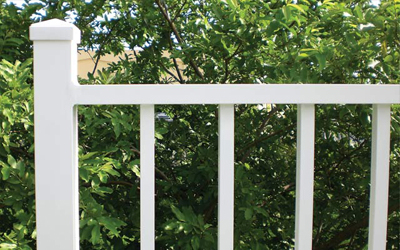 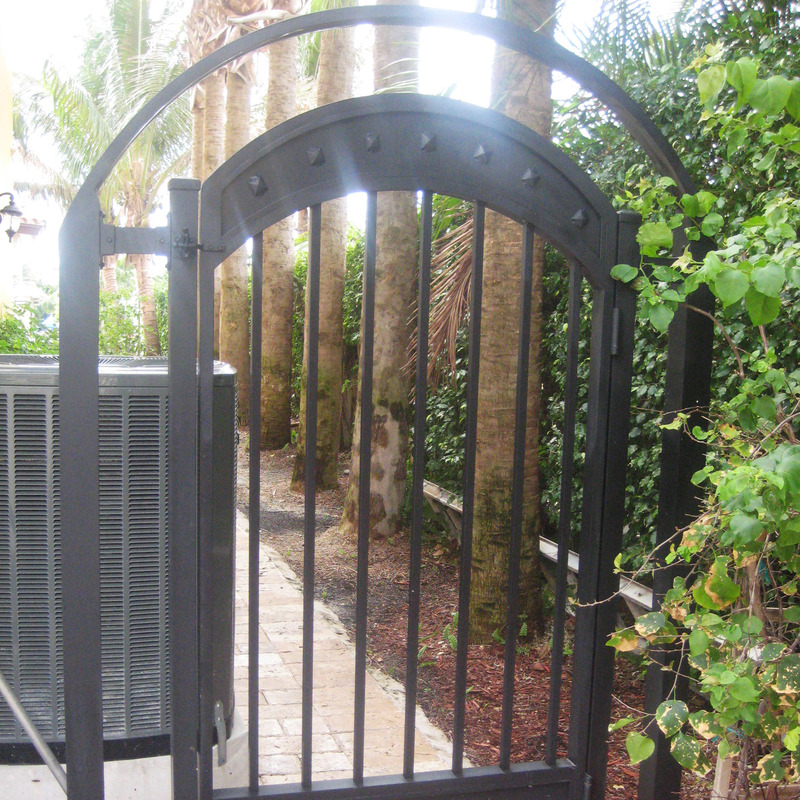 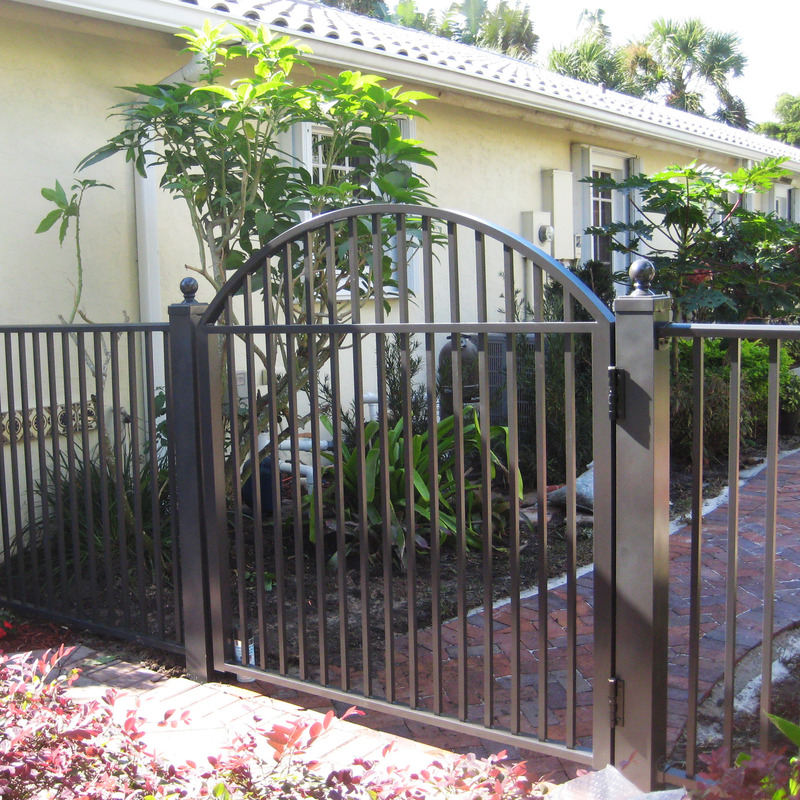 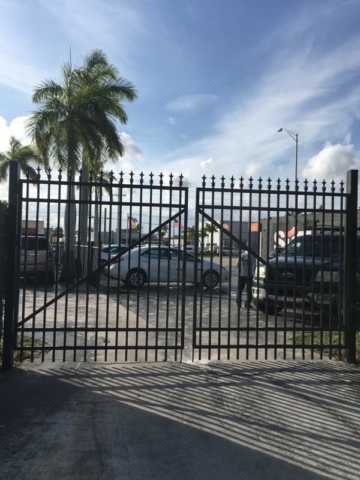 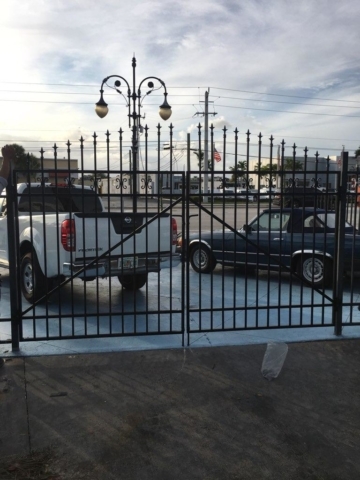 Classic aluminum fencing with traditional rails and pickets. 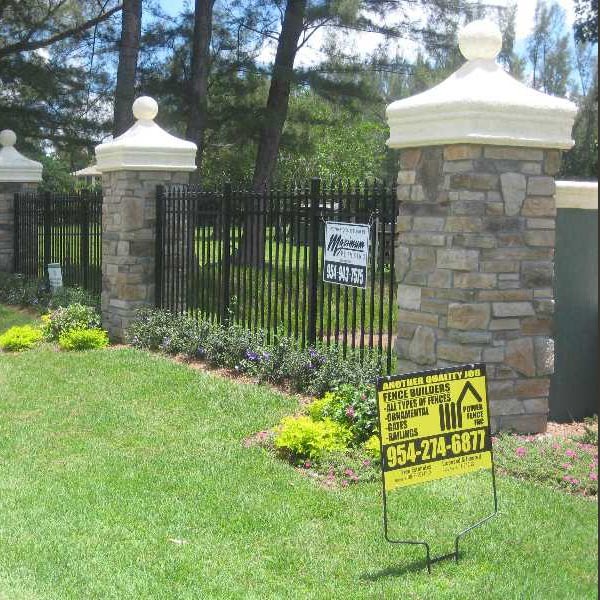 Classic with raised fence post and square rails. 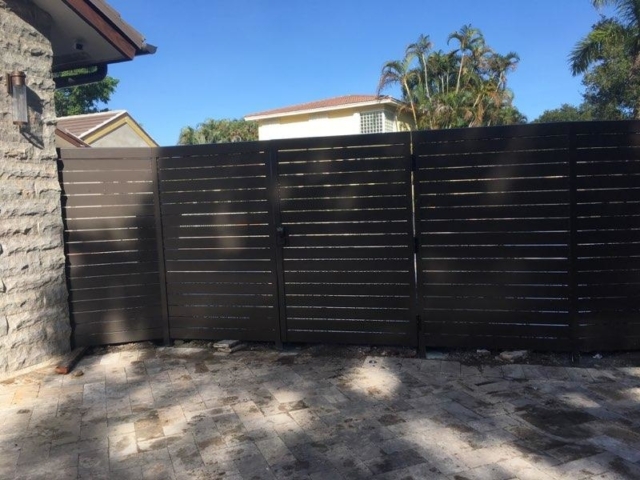 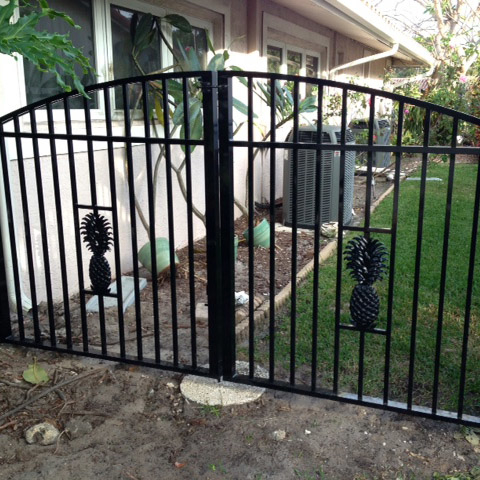 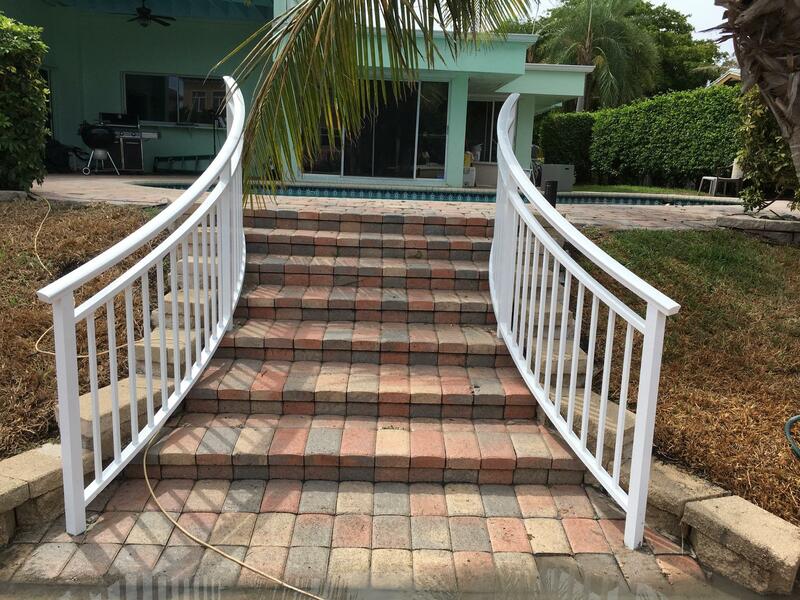 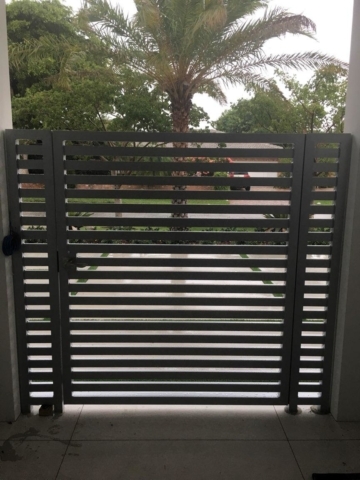 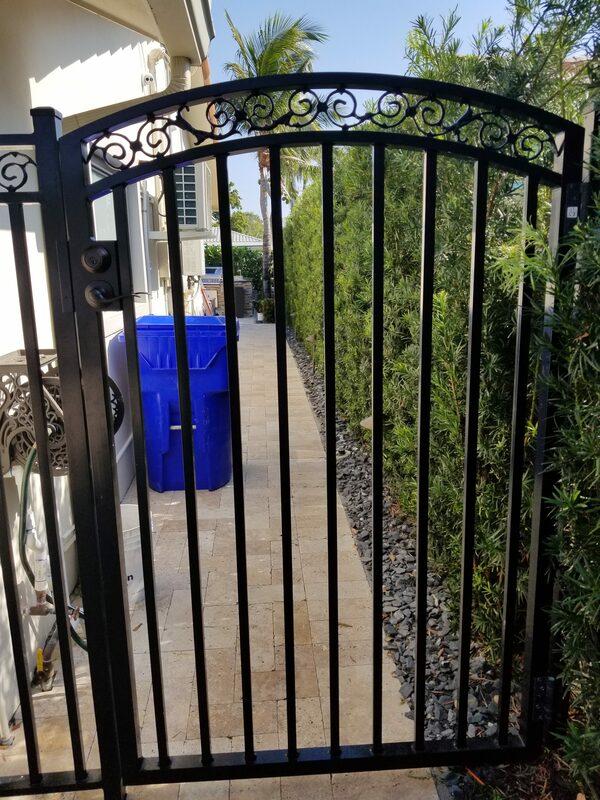 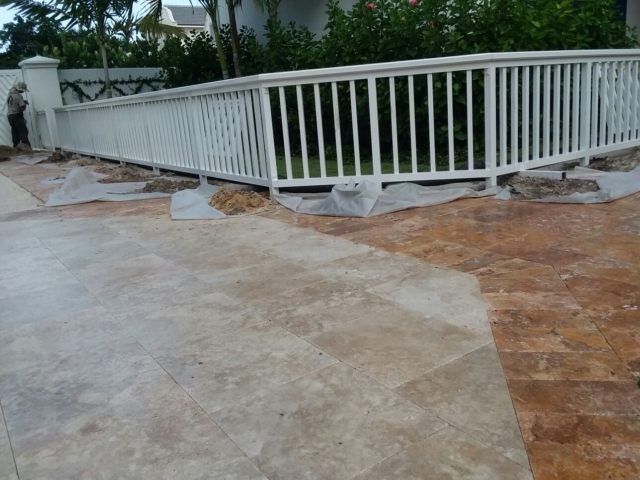 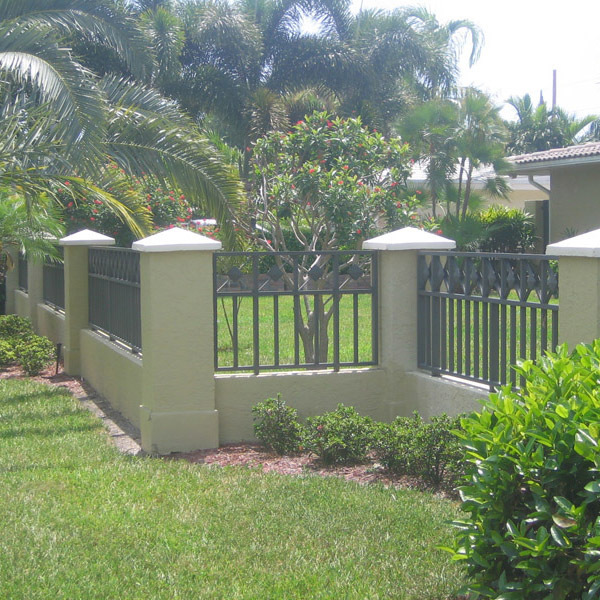 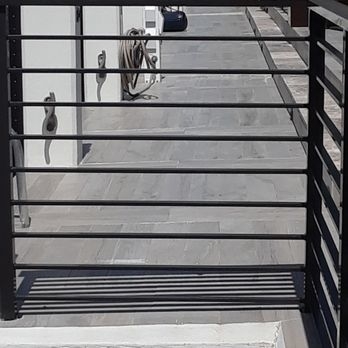 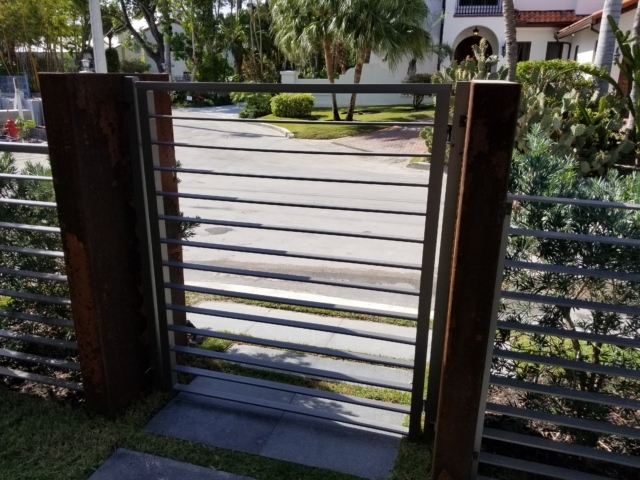 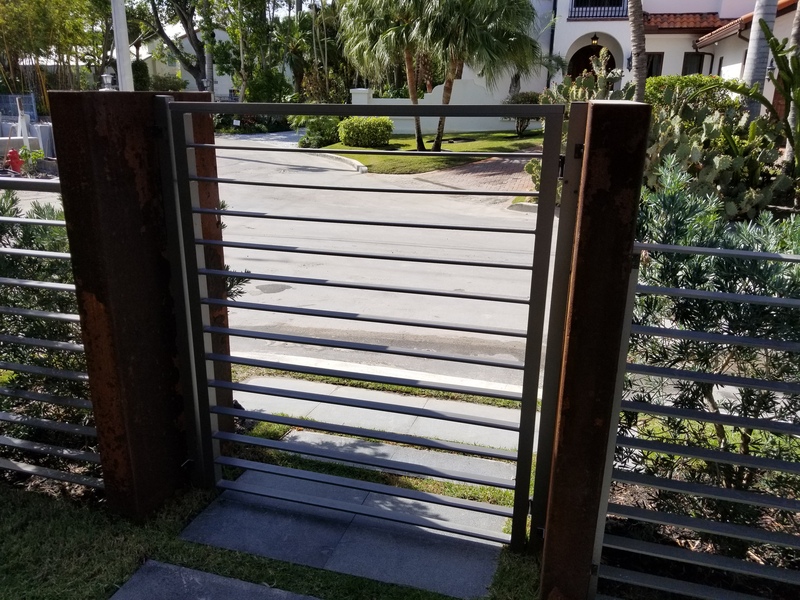 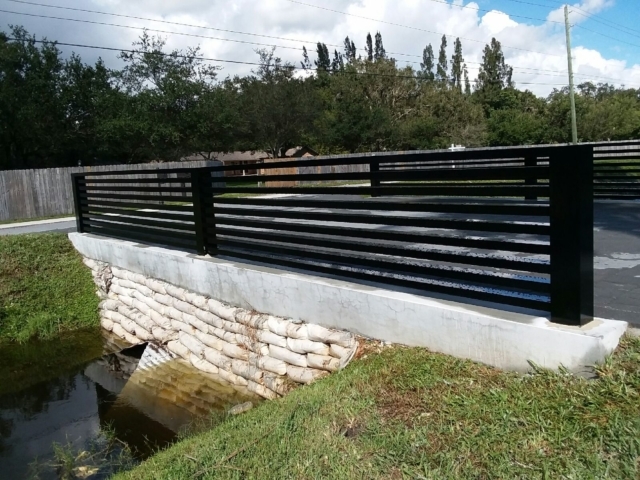 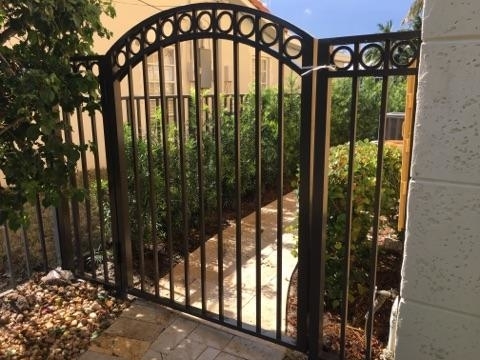 Classic with raised fence post and three square rails instead of the traditional amount of two. 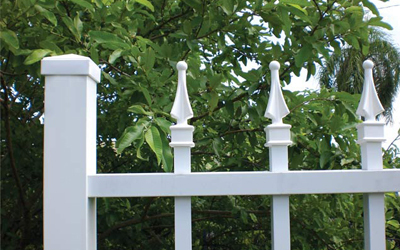 Squared division above finials with choice of ball quad and fleur-de-lis finials.